the Key Account Manager is, potentially at least, in a unique position to seize the opportunity to add value to the relationship with key customers at a time when competition has never been tougher. This is predicated on the ability of the Key Account Manager to understand the pressures specific to each customer and to qualify and quantify what each major customer means by “added value”. 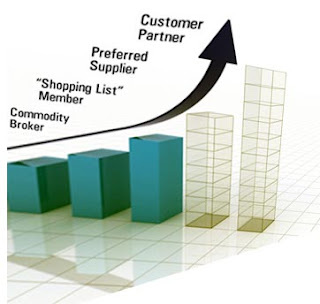 Achieving the position of at least preferred supplier status and then building a reputation which allows the customer to perceive suppliers as partners in the total business process is the ultimate purpose of Key Account Management.